It’s very easy to get stuck in a rut with your slow cooker. There are a few recipes – soups, stews, chillis and curries mainly – that are known to work well in this appliance, but, beyond that, ideas can somewhat run out. So how do you expand your crock pot repertoire? 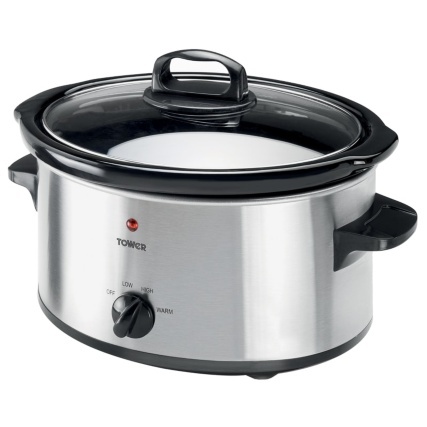 B&M stocks a great range of slow cookers, like the Tower 6.5L Slow Cooker which is big enough to whip up meals for the whole family. Here are some of our favourite, more unusual dishes that we love to make in our slow cookers. Whip up your favourite type of dough as usual, then shape it into a round loaf and pop it straight in the slow cooker – no need to wait for it to proof! Just cook it on high for 2 hours, then finish it off by placing it under the grill in your oven for between 3 and 4 minutes. Be careful – too long and it will burn! Yes! Your favourite comfort food can be achieved in a slow cooker, and it will taste even better than before – the gentle simmering will make meats softer and juicier and seasonings deeper and richer. Fry up your veg first, then combine it with passata or chopped tomatoes, tomato puree and a little water in a pan on the hob. Stir in the mince (remove or replace with a meat-free alternative for a veggie option), add seasonings and simmer until the sauce is ready, then ladle part of it into the crock pot. Now create a béchamel or white cheese sauce to taste. From here, it’s just like making it in a dish – lay some lasagna sheets on top of the mince sauce in the pot, then add a layer of white sauce, then create another layer of sheets and continue the pattern until all the sauce is used. Dust the top with a generous helping of grated parmesan, and it’s ready to cook for 4-5 hours! Here's how a slow cooker can help to free up oven space when creating a big Sunday dinner – making the meat taste incredible along the way. Just pop the whole seasoned joint or piece into the cooker and leave it on a low heat for between 6-8 hours. You can then choose to crisp up the skin in a hot oven for about five minutes while you’re serving up veggies if you wish. Slow cooking your meat also leaves you with loads of gorgeous juices for gravy. Creating this hugely popular noodle soup is really a matter of just throwing a piece of your chosen meat, then onions and garlic, spices like ginger and pepper and seasonings like soy sauce and rice vinegar together into the pot and cooking for 3 hours on low. You can then remove the meat, add the noodles and cook on high for 5 more minutes. While they’re heating, slice up the meat and get any other toppings ready. Stir the meat into the cooked noodles, then serve into bowls and add your chosen toppings. It's true – you can put together a sumptuous dessert in your slow cooker. Simply create your favourite batter and spoon it in! Many people lay a tea towel over the top of the mixture then place the lid on top to absorb excess moisture. If you do this, the fabric shouldn’t touch the mixture or the sides – we recommend piling any excess cloth onto the top of the lid. Just cook on low for 1 hour 30 minutes covered, then take the lid off and keep simmering at the same heat for another 30 minutes. Your brownies will be beautifully soft, light and gooey. Leave to cool, then slice and serve! 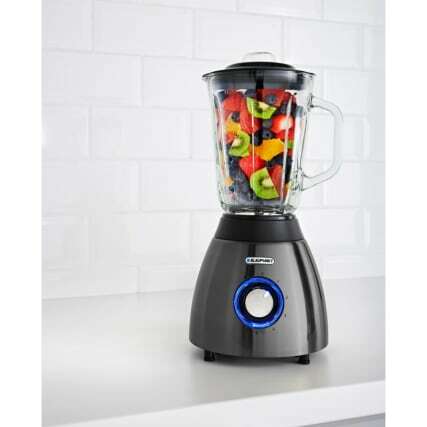 B&M Top Tip: Use our recommended kitchenware for best results with your slow cooker – pick up a superb bamboo chopping board set, Platinum Collection Blaupunkt Glass Blender and Russell Hobbs Magnus Knife Block set from B&M today – all for an absolute bargain! Got any slow cooker tips or tricks of your own? Share them with the B&M Community on Twitter, Facebook or Instagram.